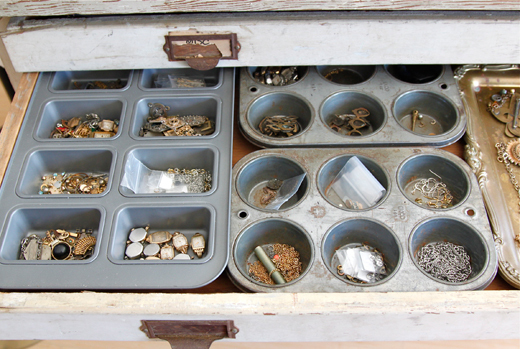 I've had this giant printer's cabinet at the studio for a long time now and have yet to clean and organize the drawers to store things. 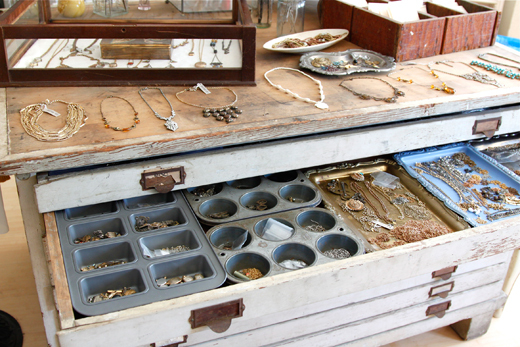 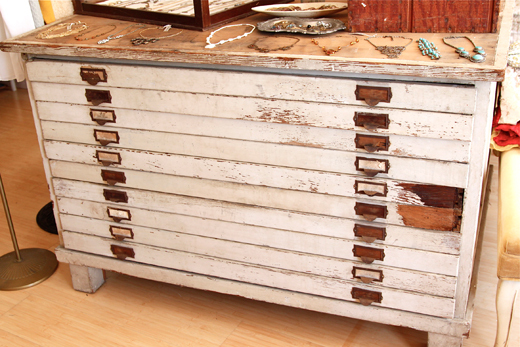 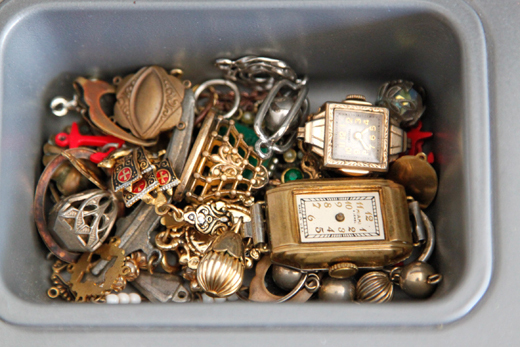 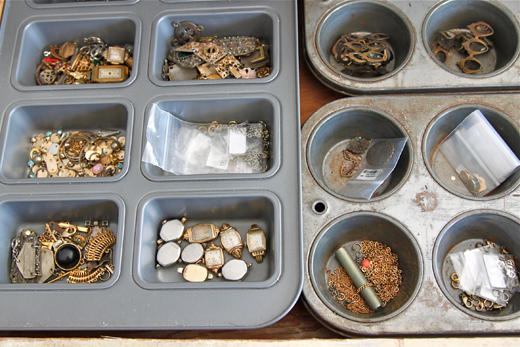 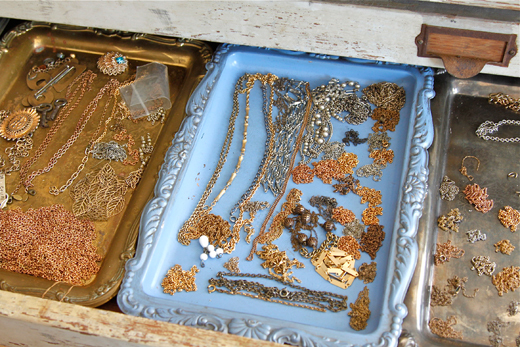 Since the drawers are so shallow, I've used some antique trays and baking tins to sort all my jewelry making supplies. 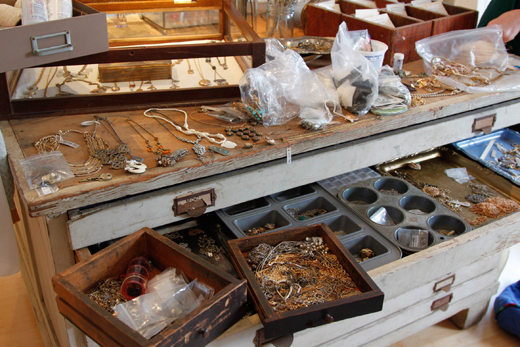 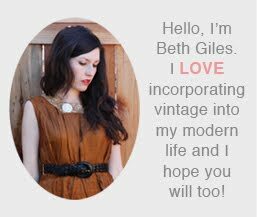 It was about time to move on from all the plastic bags and empty cottage cheese containers that were holding all them previously.